Ryoji Wada has once again shared his amazing model skills with us. 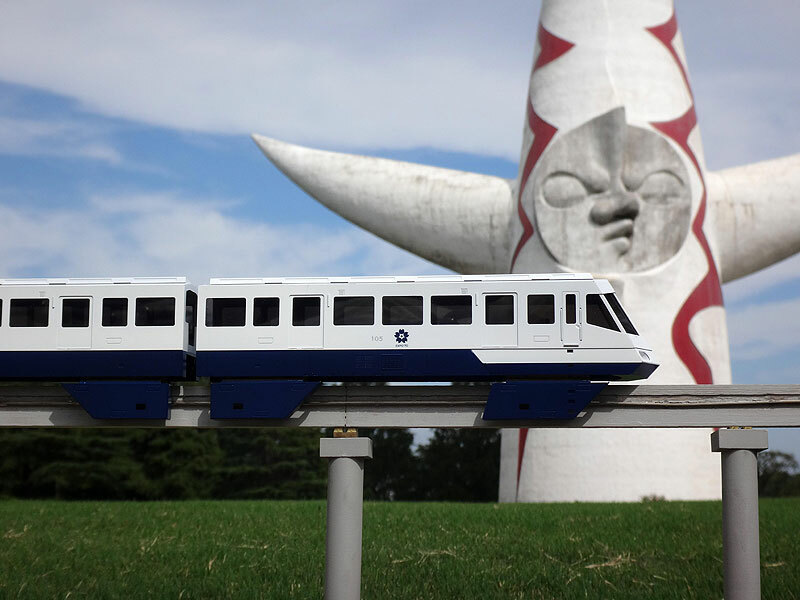 His first monorail model was the fantastic Yokohama Dreamland Monorail model. 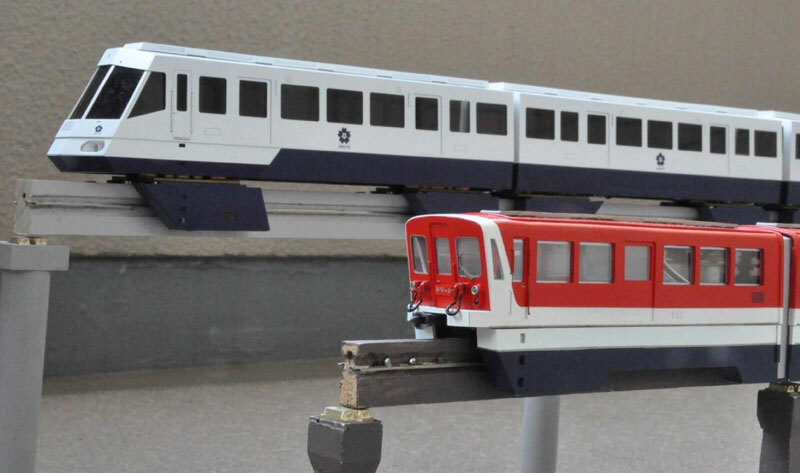 Now he has produced models of the Hitachi-built Japan World Exposition Monorail of 1970. 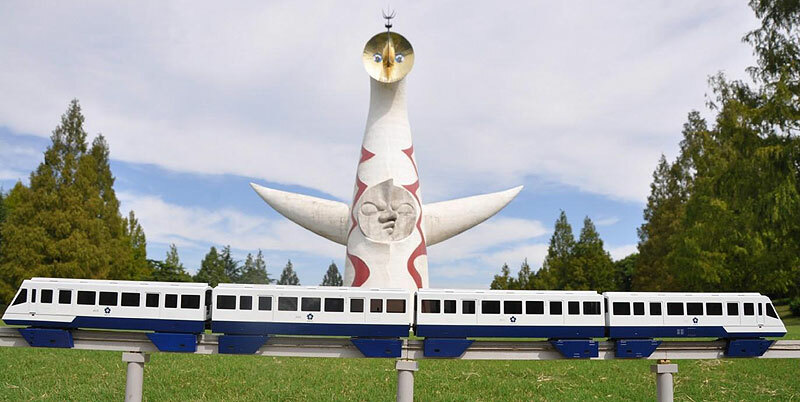 Here he has placed his model with the symbol of Expo 70, which still stands in Osaka. The City of Osaka learned from Expo's train of the future, and now the former Expo site is served by the Osaka Monorail System. Here are Ryoji's Expo 70 and Yokohama Dreamland monorail models together. 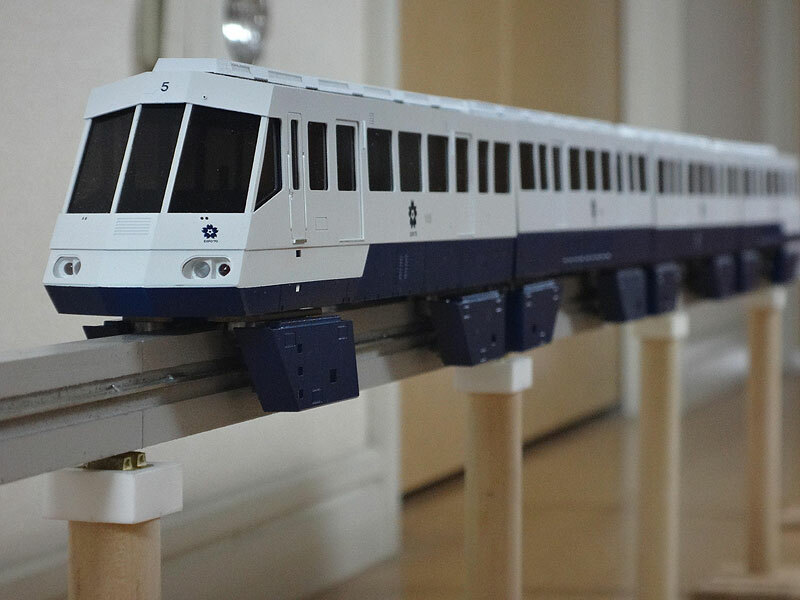 The monorail model runs just like other model railroads. A nice video of it operated is on the YouTube Dreamland Monorail Channel. This up-close view shows amazing detail. 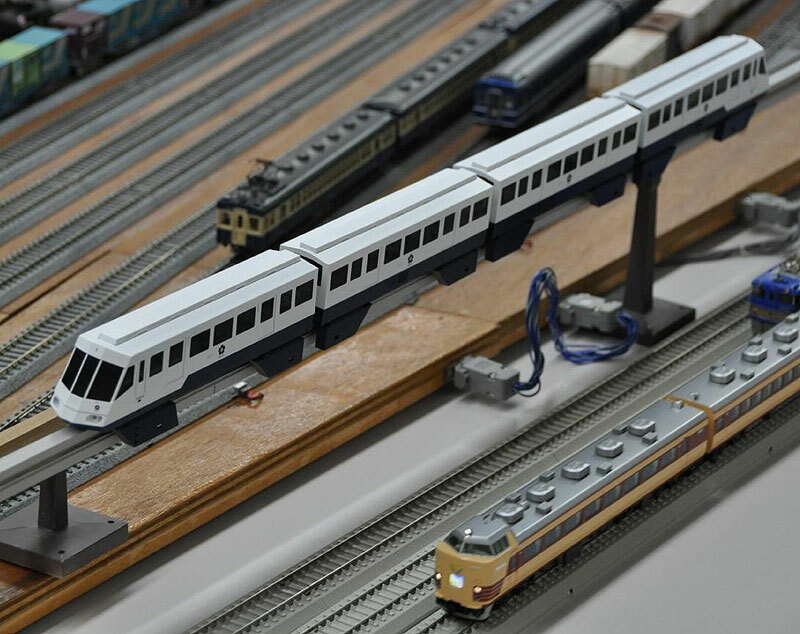 The popularity of monorails continues to grow, and these models are great evidence of that. Thank you Ryoji Wada for your fine work!